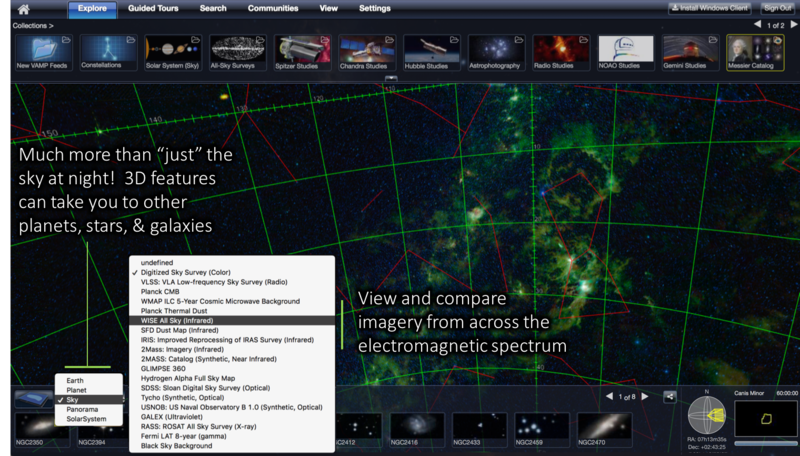 After launching the WorldWide Telescope Web Client, click the down arrow under the Explore tab and select Tour WWT Features. After downloading WorldWide Telescope, install and launch the program. 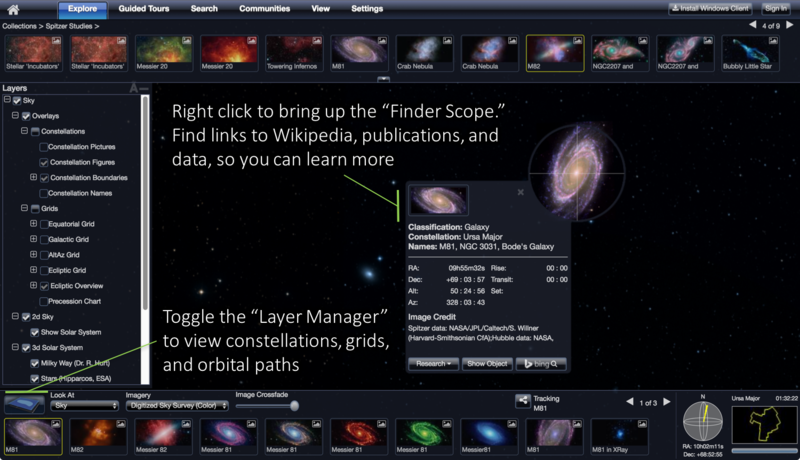 Upon first opening the Home screen, you’ll find a dialogue box that tells you how to navigate in the WorldWide Telescope. 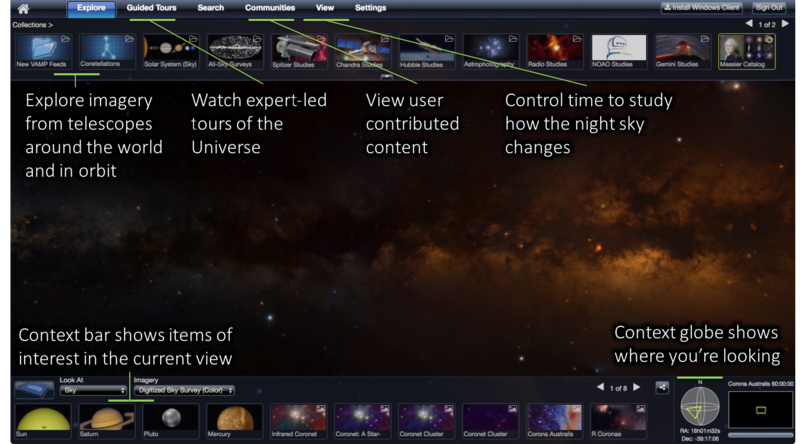 This video was rendered from a WorldWide Telescope tour: Getting Started with WWT. Below are our beginning and advanced user guide. For all of our guides, please see the User Guides page. The WWT User Guide is aimed at newcomers to WWT as well as experienced users who would like a more detailed overview of the WWT features. You can read the most updated version of our user guide online, or download it in pdf, ePub, or Mobi format by following the download link on the gitbook page.